Binoculars are essential to every hunter, regardless if you are already a pro or still a beginner. It can help you a lot in your hunting trip and ensure a good catch before you go home. But it doesn’t mean that binoculars are only limited to hunters. You can also use this in hiking, mountaineering, and other outdoor activities. Today, we are going to review the top 10 binoculars available in the market. 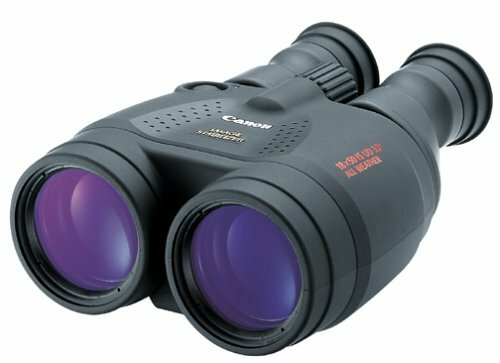 The following are the best binoculars that do not exceed our $500 price range. You don’t have to burn a hole in your pocket to have quality binoculars when you can have the following. For outstanding clarity, you should check out the Upland Optics Perception HD 10x42mm Hunting Binoculars. It uses extra-low dispersion glass to eliminate any fuzziness or distortion. The binocular is designed for rugged use in the hunt. Its durable housing is resistant to water, fog, and the rubber body can reduce the impact when you accidentally drop the binocular to the ground. Furthermore, it features 10x magnification and 42mm objective lens for quality images. The package includes a soft carry case that protects the binoculars when not in use, a flip-down lens protector, lens cloth, and a neck strap. Buyers can enjoy a lifetime warranty upon purchasing the product. For superior durability, Nikon is a well-known manufacturer of hunting gears. 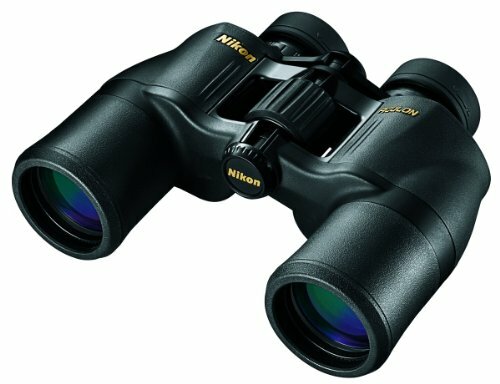 Check out the Nikon 7577 Monarch 5 10×42 binoculars in sleek black color. The binoculars featured the Nikon’s premium ED glass for a sharp and clear image. It also provides a bright field of view, allowing you to identify vegetation even in a large distance. Compared to its earlier version, it is a once lighter and is easy to carry. The fully multicoated eco-glass lenses will provide a high light transmittance across the entire visible light spectrum. It has an apparent FOV of 51.3 degrees. The binoculars also featured a user-friendly Turn-And-Slide rubber eye cups, a smooth central focus knob, and flip down lens caps for optimal use. 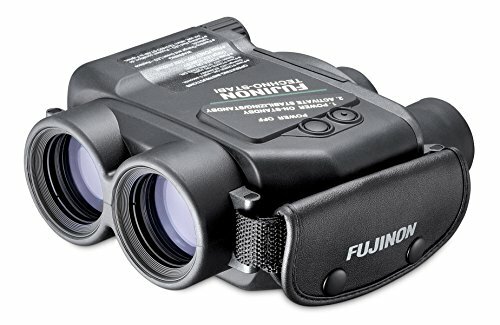 For serious hunters who are dedicated to hunting, equip yourself with this heavy-duty binocular from Fujinon. It may not be the cheapest binoculars that we’re going to feature, but it features an image stabilization feature—something you will not often see in other models. It also has a center focus for rich and intricate details. The binoculars are made of fiberglass-reinforced and premium quality plastic. You have the confidence to use the binoculars ruggedly thanks to this feature. It’s also phase coated. For optimal use in the forest, the binoculars are both waterproof and fog-proof. It is powered by four AA type alkaline batteries and has five degrees of stabilization. Its rubber armored body features a firm grip. If you want less expensive stabilized binoculars, check out the Canon 12×36 image stabilization binoculars. This product is compact and highly portable. Take your birdwatching experience to the next level with these binoculars. You can enjoy superb image stabilization (IS) using optics technology, similar to what they used for Canon EF lenses. It also offers a high magnification ratio: 12x. The 36mm/1.42 in. Objective lens can generate clear and high-resolution images. These binoculars also feature a Poro II Prisms that can help in increasing the image resolution of the images and decrease the loss of light. It has a doublet field-flattener for sharp images that are free from distortion. Thanks to its innovative design, you can enjoy an improved power efficiency for more extended running hours. 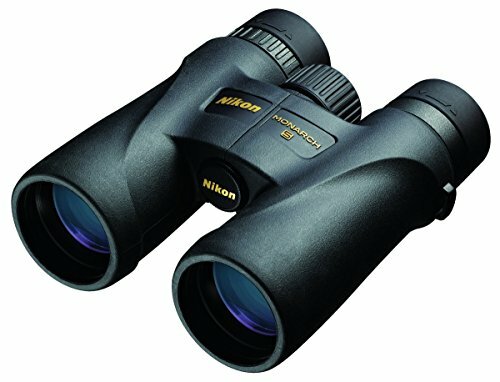 If you are on a tight budget, you might want to check out the Nikon 8245 ACULON A211 binocular in sleek black. These binoculars are built to be as lightweight as possible for a hassle-free operation of hunters. It features turn-and-slide rubber eyecups that will allow you to have a comfortable viewing even for extended hours. The binoculars are built using aspherical, multicoated eco-glass lenses for bright and clear images, regardless of the lighting conditions. It also features a smooth central focus knob that makes this binocular hassle-free to operate. The durable rubber-armored coating makes sure that it does not slip out of your hands, even if it’s soaking wet. You might want to check out the Celestron SkyMaster Astro Binoculars with deluxe carrying case. 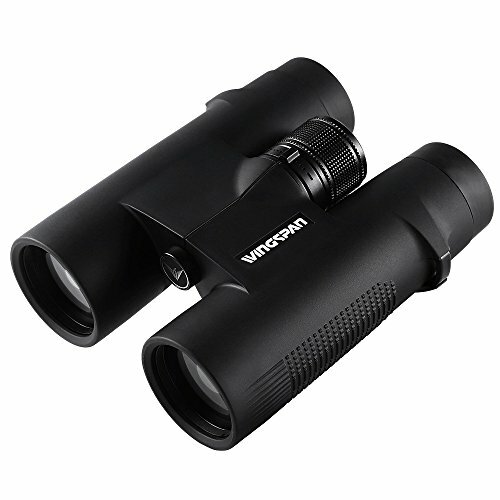 It features 25x magnification Porro prism for an improved bird watching experience. Its prodigious 100mm objective lens can deliver maximized brightness of the image even on a long-range condition. Furthermore, it has ultra-sharp focus across the field of view. The individual eyepiece focus allows you to enjoy optimal focus position of your subject. 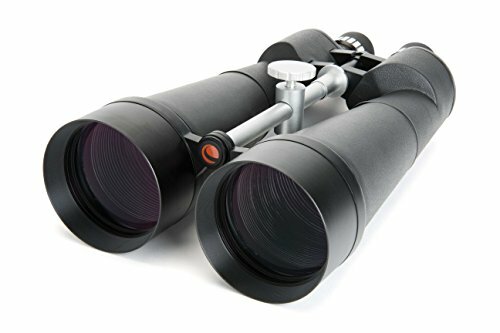 These binoculars are multi-coated to generate sharp and crisp views. 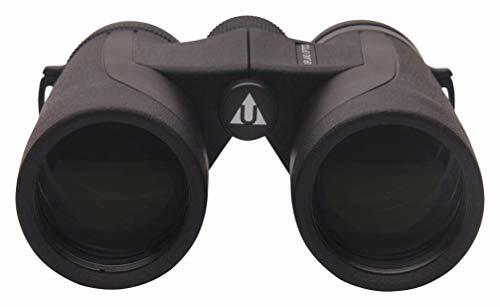 If you are looking for binoculars that can be used for long-range terrestrial or astronomical viewing, this product is for you. It has protective rubber covering for ultra-firm grip. One of the best-selling binoculars from Canon is their 18×50 image stabilization all-weather binoculars. Its features 18x magnification for clear and bright images. Two AA batteries power the integrated optical image stabilization. Furthermore, it has a full and extra-bright field of view for an improved terrestrial viewing. The lenses of these binoculars are multi-coated for improved contrast, saturation, and hue fidelity of the images. These binoculars are built for hunters who are always on the go. Thanks to its durable housing, you need not worry if it slips out of your hand or if it falls into the ground or water. We also have the Vortex Optics Diamondback 10×42 roof prism binoculars. 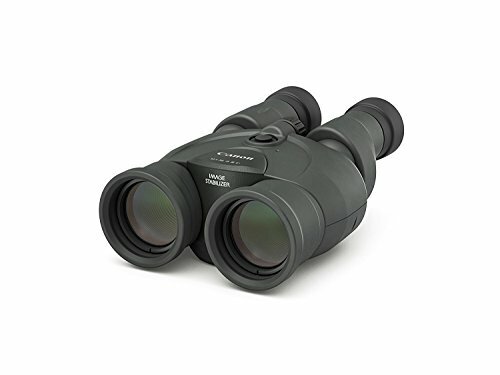 These 10×42 binoculars feature a 10x magnification through its 42mm objective lens. It has multi-coated optics, and phases corrected prisms for optimal use. Now you have the confidence to use it ruggedly because the binoculars are waterproof and have fog-proof protection. It has an objective lens diameter of 42 mm. The package includes a rain guard, tethered objective lens covers, comfort neck strap, and deluxe custom-molded carry case. Buyers can enjoy CIP unconditional lifetime warranty upon purchasing the product. They will repair any damage in the binoculars with no more questions asked. One of the most advanced birding binoculars in the market today is the Wingspan Optics. This will give you a remarkable bird watching experience. It has an extra-wide field of view, close focus, phase correction coated prism, and ED glass for your bird watching. The new ED glass generates sharp and crisp images. It also helps in reducing chromatic aberration that causes color fringing. The new flat field lens technology and phase correction coated prism will make your surroundings burst with colors. HD images had never been good if not for these binoculars with 42mm multi-coated lenses. It also has 8x magnification for steady bird watching images. 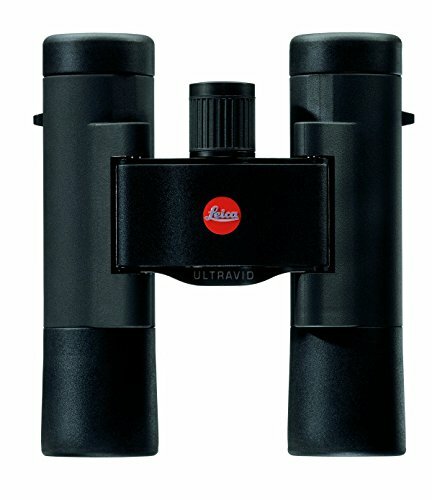 For our last product, we have the Leica ultravid compact binocular that features AquarDura lens coating in sleek black color. It has high magnification for your improved bird viewing experience. 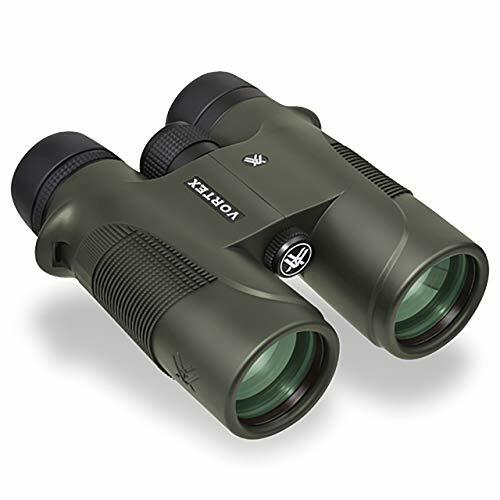 Its small compact size makes these binoculars ideal for hunters and hikers. Thanks to its durable housing, the binoculars can resist water up to 16.5 feet. It has a rubberized coating that makes it comfortable to hold even for a prolonged period. Its firm body will keep the weight down while generating sharp and crisp images. You don’t have to bring large binoculars to enjoy HD pictures when you have the Leica binoculars.